Successfully Added LCD Clock Radio Calendar Combo - Thermometer + Date Reminder to your Shopping Cart. 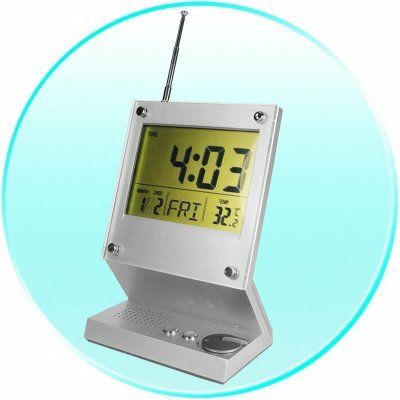 All-in-One LCD Alarm Clock Radio, with functions including Radio station scanning, a Centigrade and Fahrenheit Temperature Display, and adjustable Month/ Day/ Date Display. Another nice function is setting one date for any time of the year (day, date, and time) for the clock to remember (e.g. a birthday), and it will remember the time and give a little birthday jingle when the date and time is reached. This gadget also also has a built in countdown mode (from one minute all the way to 24 hours) perfect for remembering important events during the day. No MOQ - 12 month warranty - perfect for reselling, and a great gift idea for anyone..